How'd you like to save time and money? We agree - asking a busy pharmacist or pharmacy owner "How'd you like to save time and money?" is a bit like asking "How'd you like air?". Of course you do and we're here to help. PharmSaver.net is now offering time and money savings tips for pharmacies through our Blog section. It's accessed by clicking on the Blog link at the top of this page. You can view most Blog even if you don't login but after you login there may be Blog and information specific to pharmacies (or chains or wholesalers). So now that you know that PharmSaver.net Blog exists, let's start with two basic tips. Each one is covered in more detail when you click on the link. If you're not using PharmSaver's PO Upload, you're definitely missing out. This one feature can save you thousands of dollars. Many of our busy pharmacies save that much each day. Here's how it works. Your primary wholesaler has the ability to export purchase orders or at least you can print a purchase order from their system. We support files from AmerisourceBergen, Cardinal Health, McKesson, HD Smith, Kinray, Morris and Dickson and many others. You take the primary wholesaler PO, upload it to PharmSaver.net and we take it from there. Your PO is reviewed and items where we can save you money are selected. You then review your cart, click checkout and orders go to the appropriate wholesaler. It's that quick and easy. Learn more about PO Upload. Ever wonder what today's special buys are at top wholesalers? We got them. 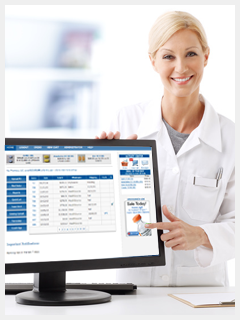 The PharmSaver.net Deal of the Day (DOTD) shows you the top featured savings for each participating wholesaler. You can find DOTD offers on your pharmacy's home page after login. Click the DOTD link and the item, along with fantastic savings, is added to your cart. 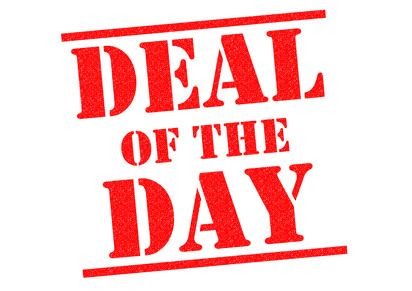 Learn more about Deal of the Day. That's two to start and we're adding new posts on pharmacy time and money saving tips, along with other important pharmaceutical industry Blog and PharmSaver.net update information on a regular basis. Remember, click on "Blog" at the top of the page to see what's new!